Lamb gets first win, as Bees take the series in Beloit, MI. Two days ago on Sunday, Mother’s Day, John Lamb got his seventh start of his Midwest League season, on the road, in Beloit, MI. The morning was filled with great anticipation in the Lamb household as both my Mother and wife were eager for the game to start at noon, PST. Frustration set in with the inability to get the pre-game broadcast on the Burlington Bees website. 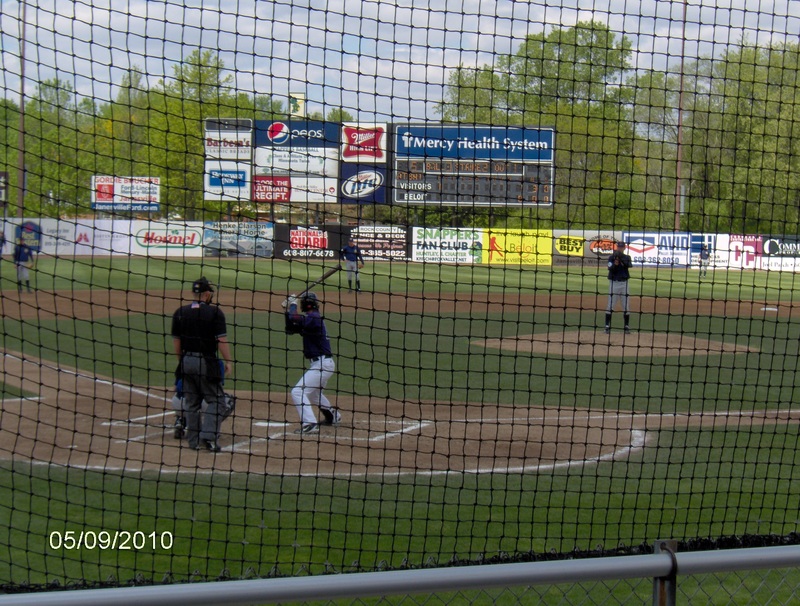 Colleen, my wife, decided to call the Beloit Snappers stadium and check on the condition, or if nothing else bring it to their attention. However, we had an ace up our sleeve for an immediate update on the game from the field. A friend of the family whose son played with John Lamb during his Little League days happened to make the trip up from their home West of Chicago, in hopes of seeing Lamb get his first win of the season. I texted him early with the technical difficulty of getting the radio feed and he responded by providing the early details of the first inning play. The first three batters that Lamb faced were victims of the strike out, so the text messages were very simple with a “K,” three times in a row. A sense of relief filled the living room with the sound of the Bees broadcast over the Internet in the top half of the second inning. Efficiency continued throughout his performance by spreading out 2 hits, 6 strike-outs, 1 walk and 0 earned runs over five innings. Lamb was backed up by a couple of stellar plays from his defense, including the work of the Bees bullpen to secure the series win. The Bees offense was also up to the task of supporting the fine start of the Southern California left-hander looking for his first win of the 2010 season by getting 1 run in the first three innings. The Bees hitters added a couple more later in the game and won by a final score of 5-1. Our friend’s wish came true by getting a chance to see John Lamb get his first win of the season and I’m sure managed to get a couple of pictures to share the experience later. By the way, that Beloit employee, mentioned earlier, was kind enough to return a call and let our family know that the broadcast was now working following a simple flip of a switch. John Lamb now holds the 7th best ERA in the Midwest League, as of this post, with his 1.91 mark and is also in the leagues leaders of strike outs, WHIP and opponents’ batting average while he is pitching. Now he finally has his first win to go with the solid numbers he has produced in his second year of professional baseball. 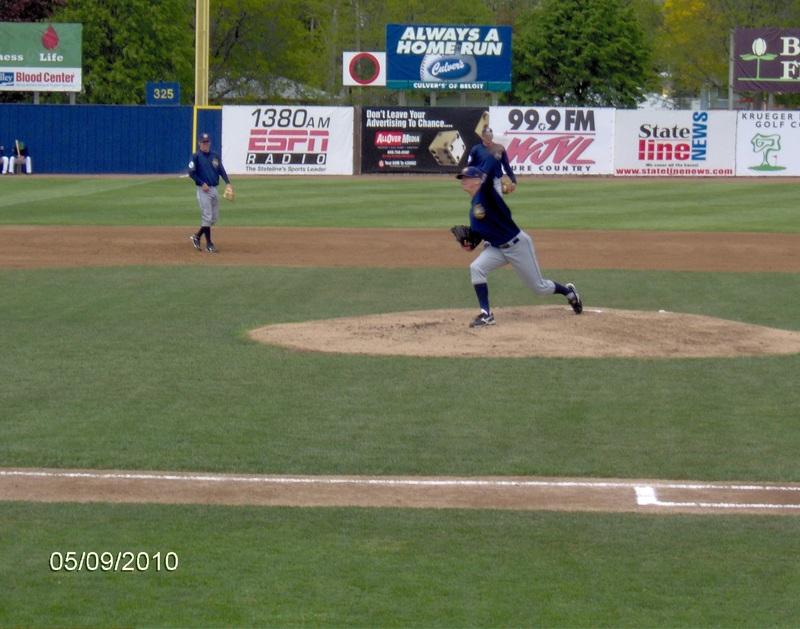 Even though Lamb signed early after the 2008 MLB draft and was on an active roster for the Kansas City Royals minor league affiliate he did not play that season due to continued recovery from the broken arm suffered in the auto accident. That injury prevented him from playing his entire Senior season at Laguna Hills High School. Now it’s time to wait for his next start on Friday evening at his home ballpark in Burlington, IA. Hope we get a good broadcast for the entire game on Friday.